Friends meet Baby Wang Eun (와은). Remember this cute face of my lil fella because I’m quite sure you’ll be seeing a lot of him here in my blog and on my Instagram account. Baby Wang Eun is certainly a perfect companion and subject to my photos. Ha! When I was kid, I remember collecting Barbie dolls but not much fascinated with stuffed toys. Even as a teenager. When it felt like everyone’s room is bursting at the seams with stuffed toys, enter my room and you’ll be proven wrong. Well, until I became an EXO-L and knew about the existence of EXO dolls. At present, I have two dolls. The Prince Baek doll which I prefer to be called as (Baby) Wang Eun doll (first photo) in reference to Baekhyun’s character in Scarlet Heart Ryeo. That’s the doll that I’ve been wanting ever since I learned about someone producing such doll. It was during Scarlet Heart’s airing when I became an EXO-L and ended up being a Baekhyun stan. 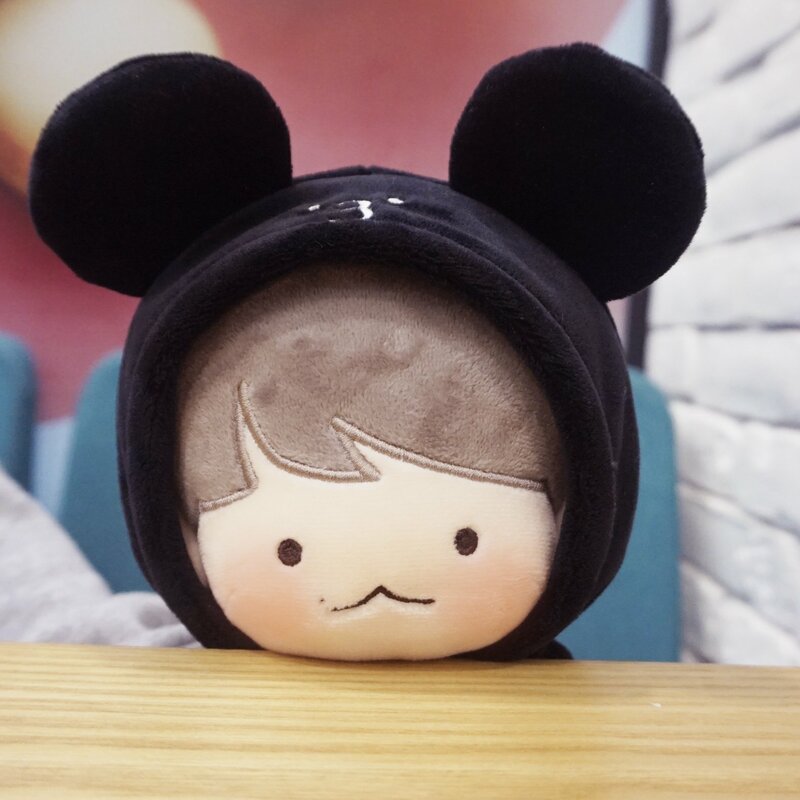 So when I saw someone selling their Prince Baek doll, I immediately messaged her and reserved it. Thanks to her I now have my Baby Wang Eun who holds a very special place in my heart. I also have a Kyunee Hyunee (above), which is currently in production and bound to arrive here in the Philippines by July or August. The waiting game for this doll is too strong and long. But it’s okay. I know it’s worth the wait. Just look at his cute face! But what started as a meet and greet for my Wang Eun doll, this blog post is actually just me sharing some photos that I (my friends) took over the weekend. I met up with my high school buddies aka my forever friends and what a better thing to do while hanging out with them is pig out. 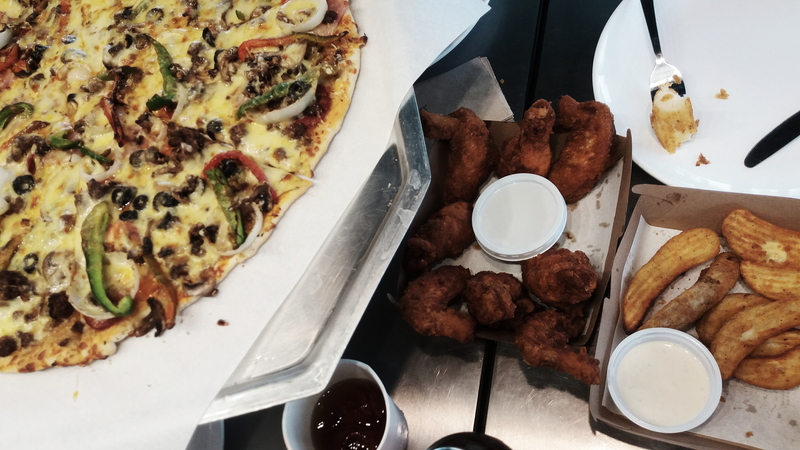 We ended up meeting at Yellowcab and here you go…the feast! Yummy Pizza, Baked Potatoes and Hot Chicken Wings to satisfy our cravings and stomach. With delectable foods and cold iced tea served, we now indulge ourselves in it while talking about the things that happened to us for the past week. Jokes were thrown around and so you’ll be able to hear endless laughter from our table. But surely we don’t forget to talk about serious matters as well to balance everything out. I just couldn’t pass up the opportunity of taking a shot of Wang Eun with our food. See what I mean when I say that he’s the perfect subject for photos? It seriously makes everything look 10x cuter. Nom. Nom. Nom. A closer look to the chicken and potatoes. There were four of us and I’m quite shocked that we weren’t able to finish the whole thing of the pizza. Most of the times we really eat our hearts out but not this time. Our stomachs were full right after eating a big slice of pizza, tea and maybe because of all the talk that we did. So we asked them to just wrap up the leftover food for us to take home. The kid is playing peek-a-boo. The entire afternoon and early evening, we were just goofing around the place. That’s just how our friendship works. We’re weird. We laugh a lot. A behind-the-scene info: We were actually on our way to National Bookstore but stopped for a bit because we thought that bricks would make a good background for a photo. Thus, this photo happened. I didn’t include the other photos taken from that spot because we look crazy in it. Anyways, I’m looking forward for more of our hangouts wherever that may be. I hope we’ll be complete by that time, though. Oh the fun and chaos! In Photos Vol. 1 END.